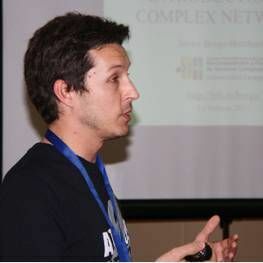 Abstract: The identification of mesoscale connectivity patterns in complex networks has been central to the development of the field. Besides an interest in the methodological challenges, these patterns matter to the community inasmuch they result from a complex structure-dynamics interactions. It is in this context –network architecture as emergent phenomena– that nestedness and modularity arise as prominent macrostructural signatures to study. Furthermore, their prevalence in many natural and socio-technical systems has spurred research on the (possible) co-existence of both features. Here we will focus on particular socio-technical settings in which modularity and nestedness are observed together, and discuss some possible explanations and methodological problems. Then, we will present a brand new formulation of the problem where nestedness and modularity can coexist in the form of nested blocks within the network. Finally, we will discuss possible directions from here. Time. Wednesday October 18th, 12.00. Abstract. The synchronization of coupled oscillating systems is a phenomenon that has received considerable attention from the scientific community given its wide range of applications. The pattern of interactions among the oscillators -- usually encoded as a complex network — plays a crucial role in promoting the onset of the synchronized state and, over the years, several studies have investigated the emergence of synchronization in populations of oscillators arranged as a network. Despite the amount of studies hitherto made, all the approaches rely on the hypothesis that the variation of the state for an oscillator, which is a fundamental requirement to attain synchronization, is costless. Yet, it seems reasonable to assume that the alteration of an oscillator's state involves an adjustment cost that, in turns, reverberates on the dynamics. The introduction of such cost leads to the formulation of a dichotomous scenario. In such situation, an oscillator may decide to pay the cost necessary to alter its state and make it more similar to that of the others or, alternatively, keep it unaltered waiting that the others will adjust their states to its own. The former behavior can be viewed as an act of cooperation while the latter as one of defection; both constitute the basic action profiles of a Prisoner's Dilemma game. Complex networks play a key role also in the emergence of cooperation and, in particular, the presence of hubs in scale-free networks bolsters such phenomenon. Thus, it is worth investigating the underlying mechanisms responsible for the onset of synchronization in systems where the oscillators correspond to the nodes of a network and can decide to cooperate, by synchronizing their states with those of their neighbors, or not. This leads to a coevolutionary approach where the synchronization dynamics and the evolution of cooperation are intertwined together. Coevolutionary approaches are the natural extension of the actual models to attain a better description of complex systems. In this talk, I will present a coevolutionary model of Kuramoto oscillators playing an evolutionary game which strategically decide whether to cooperate or defect upon the evaluation of their payoff received during the synchronization stage. Finally, the emergence of both cooperation and synchronization is studied in three different topologies, namely: Erdös-Rényi random graphs, Random Geometric Graphs and Barabási-Albert scale-free networks. 20/04 (noon) Seminar at room 3.20 Departament de Física de la Matèria Condensada. "Epidemic threshold on temporal networks: an analytical approach"
A wide range of physical, social and biological phenomena can be expressed in terms of spreading processes on networked systems. Notable examples include the spread of infectious diseases through direct contacts, the spatial propagation of epidemics driven by mobility networks, the spread of cyber worms along computer connections, or the diffusion of ideas mediated by social interactions. All these phenomena arise from a complex interplay between the spreading process and the network’s underlying topology and dynamics, making a full theoretical understanding difficult. In particular, a fundamental property of such phenomena is the presence of a critical transmission probability above which large-scale propagation occurs, as opposed to quick extinction of the epidemic-like process. Computing this threshold is of utmost importance for epidemic containment and control of information diffusion. Previous studies have extensively characterized the epidemic threshold in the regime of timescale separation, i.e. when the spreading process evolves much slower, or much faster, than the timescale characterizing the evolution of the underlying network. In the case of comparable timescales, however, extensive empirical studies in social settings show that the detailed temporal structure of the network often determines how epidemics spread, and cannot be neglected. I will present a new analytical framework for the computation of the epidemic threshold for an arbitrary time-varying network. 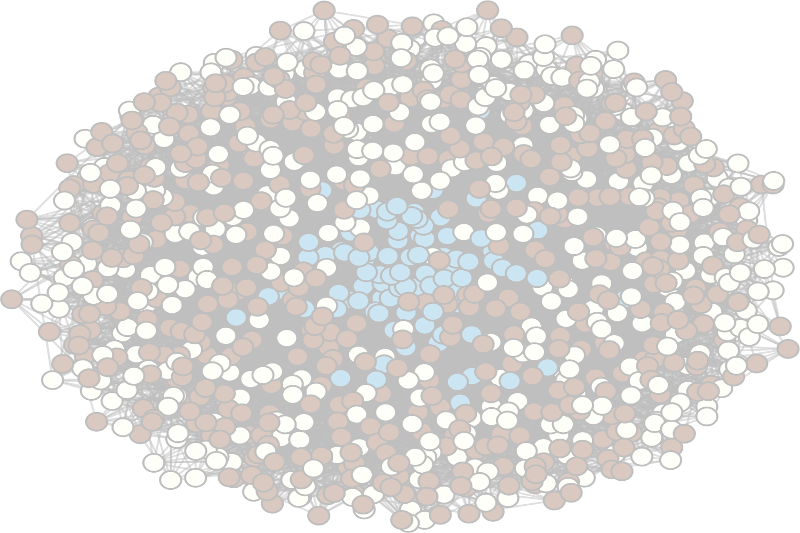 By reinterpreting the tensor formalism of multi-layer networks, this framework allows the analytical calculation of the epidemic threshold for the Susceptible-Infectious-Susceptible (SIS) model, without making any assumption on contact structure and evolution. Many contagion processes, however, are characterized by a period of latency, i.e. a time lag between being infected and becoming infectious (SEIS model). I will show how the additional timescale induced by latency period has a non-negligible impact on the epidemic threshold, and derive an analytical formula for its computation in this scenario. In order to do that I will introduce a novel mapping of the SEIS model around critical point into an SIS model on a two-layer structure. La Reunión de Física Estadística se viene celebrando, con intervalos de año y medio, desde 1987, año en el que tuvo lugar la primera edición en Barcelona. Desde 1996 esta reunión es conocida también como FisEs. Con FisEs '17 se cumplirán, por tanto, 30 años de reuniones. The real power of representing a complex system through a graph lies in the hypothesis that the structure and function of the system under study are intimately related to one another. Now, we understand multiplex networks as a non-linear superposition of complex networks, where components interact through a variety of different relationships and communication channels, which we conceptualize as different layers of the multiplex network. This conceptualization of a multiplex network poses a number of challenges: from its formal description to the ultimate goal of understanding how this new level of structural complexity reveals itself in the functioning of the system. In this seminar, we will start by dealing with the representation of multiplex networks in terms of graphs and matrices. We will give the basic definitions that underpin the notion of multiplex networks, basically facing the problem of setting a formal language that includes the new level of complexity represented by the superposition of different layers of interaction. We will show that generalizing traditional metrics to multiplex networks ``the naive way'' usually leads to blurred results, while constructing on first principles leads to well-defined metrics that may unveil ``how multiplexity works''. This is the case, for example, for our definition of clustering coefficients for multiplex networks, which enlightens the context dependent nature of social relations. We address the problem of the structural characterization of a multiplex network by means of its spectral properties, with special attention to "structural transitions". Finally, we will show how the critical properties of a model are affected by the structural characteristics of the multiplex networks via its spectrum. We consider the competition of two mechanisms for adoption processes: a so-called complex threshold dynamics and a simple Susceptible-Infected-Susceptible (SIS) model. Separately, these mechanisms lead, respectively, to first order and continuous transitions between non-adoption and adoption phases. We couple the two adoption processes in a complex network with two interconnected layers. We find that the transition points and also the nature of the transitions are modified in the coupled dynamics. In the complex adoption layer, the critical threshold required for extension of adoption increases with interlayer connectivity whereas in the case of an isolated single network it would decrease with average connectivity. In addition, the transition can become continuous depending on the detailed inter and intralayer connectivities. In the SIS layer, any interlayer connectivity leads to the extension of the adopter phase. Besides, a new transition appears as as sudden drop of the fraction of adopters in the SIS layer. The main numerical findings are described by a mean-field type analytical approach appropriately developed for the threshold-SIS coupled system. Workshop on "Self-Organized Patterns on Complex Networks"
Recent advances on the multidisciplinary science of complex networks have generated increasing interest on dynamical processes occurring on them, ranging from biology and physics to social science. Self-organization phenomena such as sycnhronization, chimera states or localized stationary and oscillatory patterns, can spontaneously emerge in such systems as a consequence of the interplay between the network architecture and nonlinear dynamics. The network architecture plays a role of paramount importance in seeding and shaping self-organized patterns, an observation which is nowadays accepted as a paradigm in the field of complex systems. Various reaction-diffusion systems (e.g. subjected to noise, time delay, feedback control) organized on different network architectures (e.g. symmetric or directed networks, trees, multiplexes, modular networks) are among the topics that have been addressed in both theoretical and experimental studies, exhibiting fascinating dynamical behaviours. To gather together researchers of the field in order to discuss on the currently available families of models, their respective domain of applications, the corresponding set of emergent behaviours and the possible impact of different networks topologies (simplex, multiplex, multigraphs, modular networks, hierarchical networks, etc.). To debate on the main challenges to be addressed within the field for years to come, both in theory and experiments. To examine models validation with real data and analyze those stylized facts, which can be adequately reproduced. To foster research by exchanging knowledge on methods for abstract models targeted to the set of emergent phenomena. Registration to CCS2016 is required in order to attend the workshop. There are no additional costs.